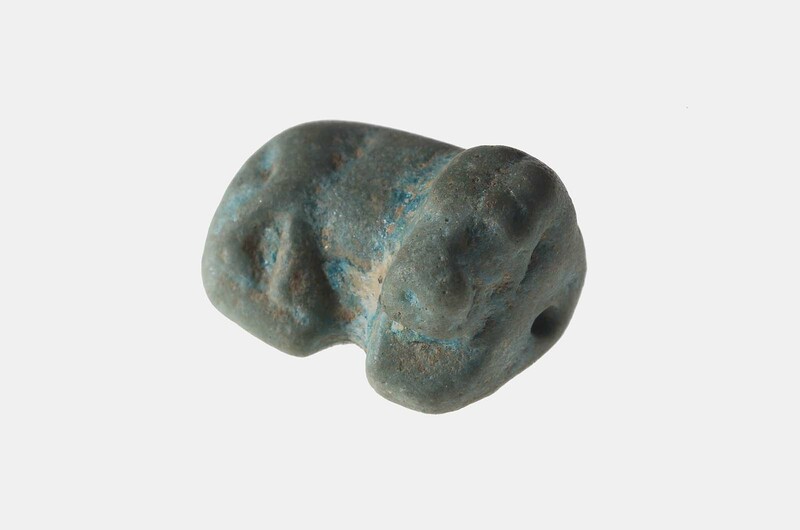 This is a recumbent hippopotamus amulet. The amulet is pierced. From Egypt, Giza Street G 7600, E of mastaba G 7650.1929: excavated by the Harvard University–Museum of Fine Arts Expedition; assigned to the MFA by the government of Egypt.